We put our heart into caring for your loved one with memory loss. Privacy promotes independence, more control, and better sleep. Bigger is not better. Household models with eighteen or less units create a better quality of life for those that live in them. 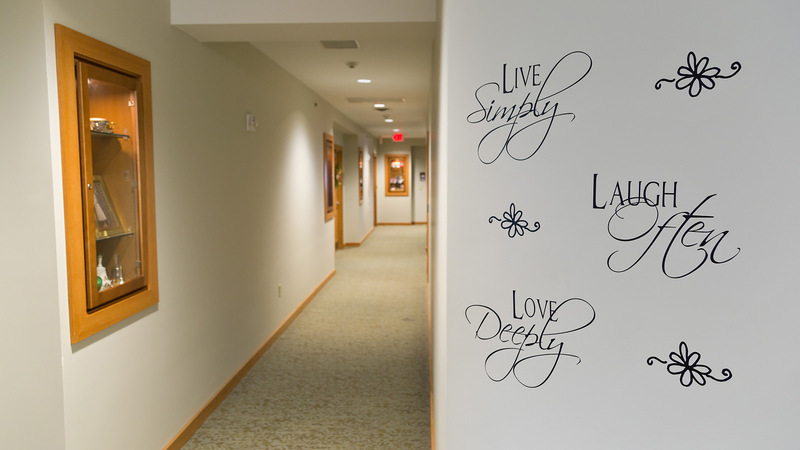 The Hansen House is designed so the residents feel at home and so they can more readily recognize the purpose each area serves. Like many homes, our kitchen is the heart of our house and is open for all. Some with memory loss enjoy walking and continuously exploring the environment. Here they can do so in a safe and comforting atmosphere. Our home is designed with one level. There are no steps to worry about. The outdoor area is open, inviting, and secure. 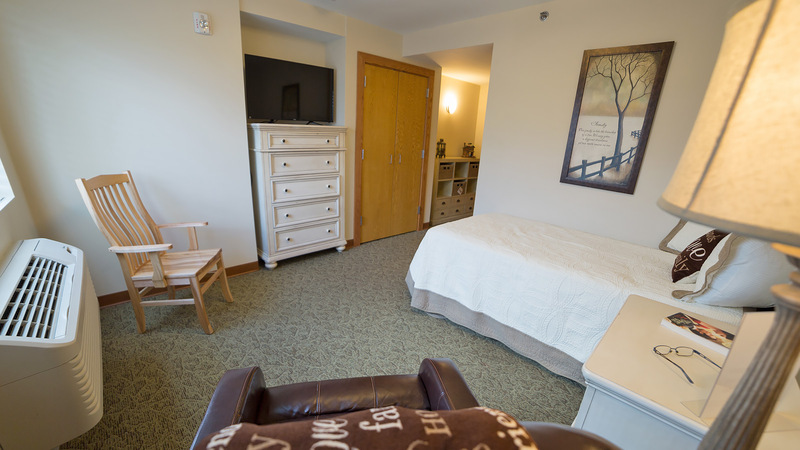 All residents have their own rooms that include a bathroom and shower. Their privacy promotes independence, more control, and better sleep. Residents can shut and lock their door anytime they want. 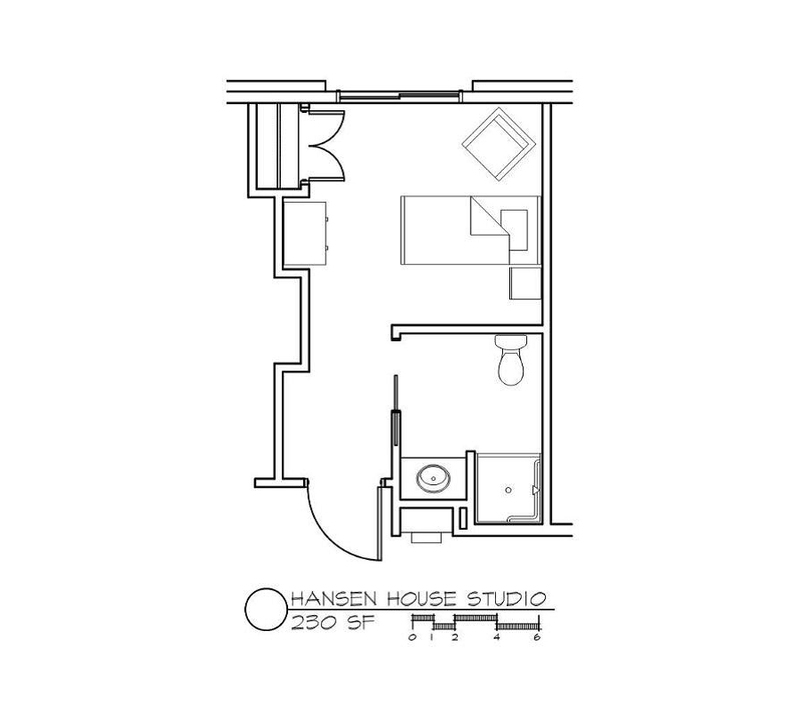 The Hansen Place Studio has everything your loved one needs: full bathroom, a bedroom and spacious living area. 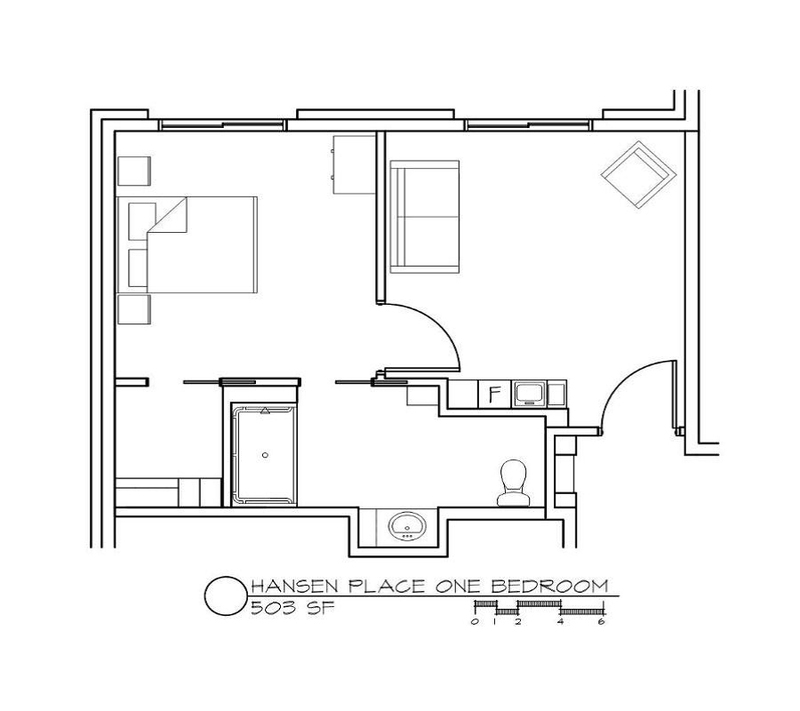 To see the Hansen Place Studio floor plan, click on the photo. 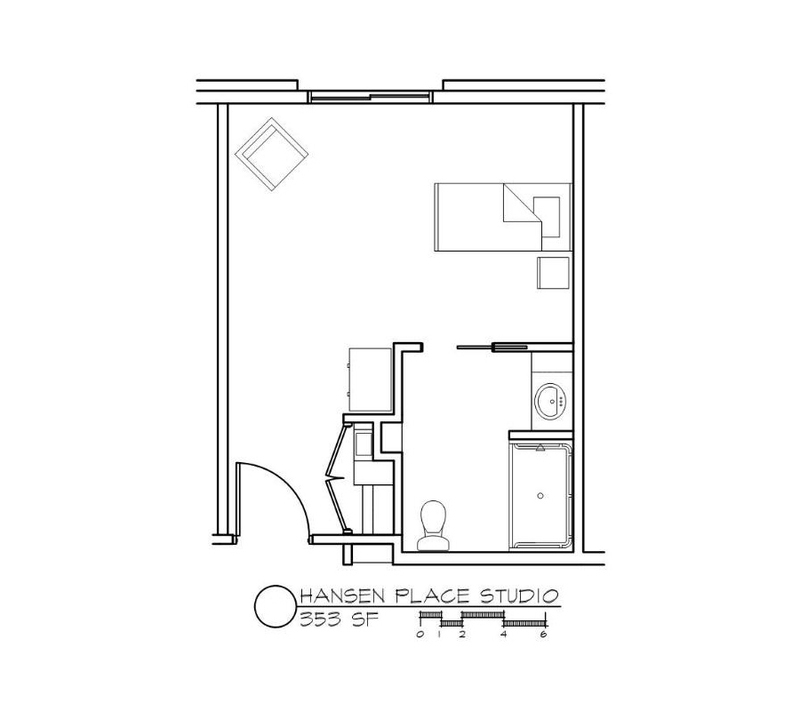 Hansen Place Studios are 353 square feet of total space. The Hansen House Studio is a cozier version of the Hansen Place Studio at 230 square feet. Perfect for those who don’t need much space. Hansen House Studios have stall showers. Click on the photo to view the floor plan. 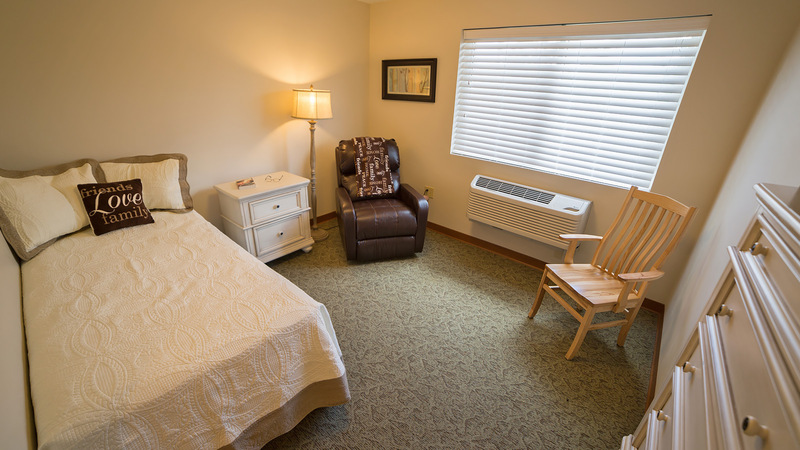 The Hansen Place One Bedroom is perfect for your loved one. A large bedroom grants access to a full bath and a walk-in closet. Plus a large living room and kitchenette bring total space to 503 square feet! Click on the photo to view the floor plan. 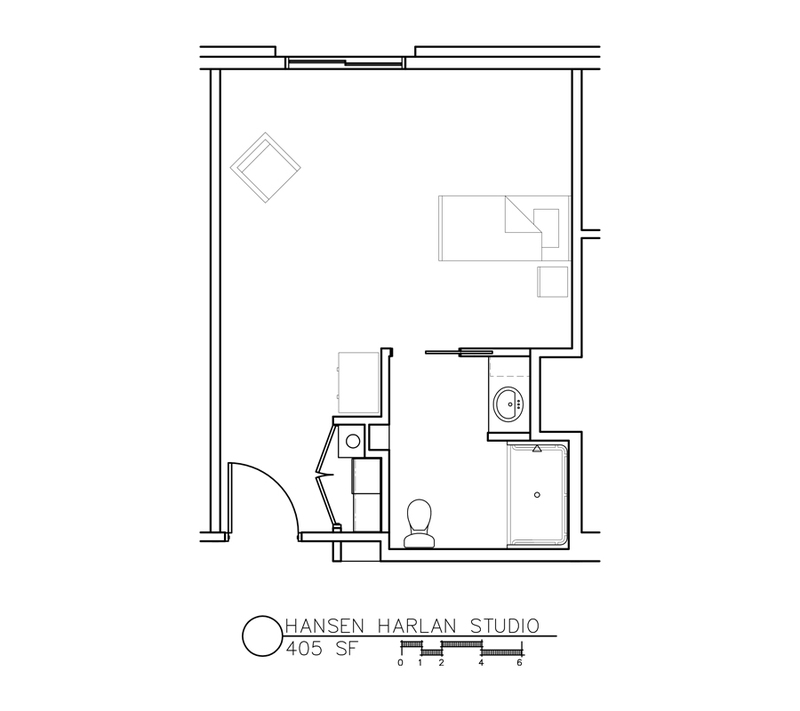 To see the Hansen Harlan Studio floor plan, click on the photo. Hansen Harlan Studios are 405 square feet of total space. 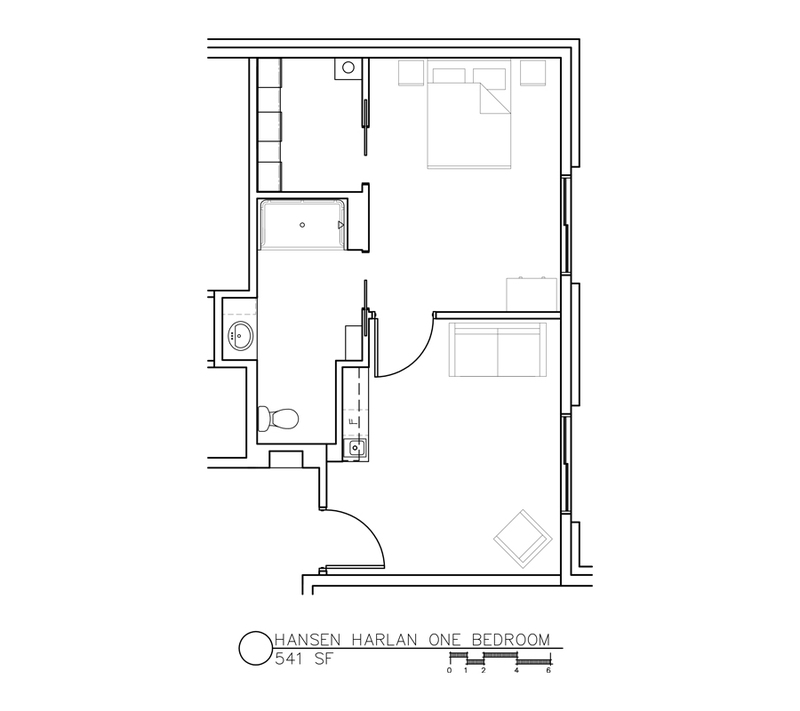 To see the Hansen Harlan One Bedroom floor plan, click on the photo. Hansen Harlan One Bedrooms are 541 square feet of total space.